Okay, so it took me FAR too long to get this final roundup posted, and for that, I apologize. It's been madness around here this month. MADNESS, I say. Today I will be sharing the final bowls of Tortilla Soup brought to my year-long quest to find the ultimate Tortilla Soup. Just a roundup. I will be doing a separate post soon (hopefully soon) in which I share observations and what I've learned after being exposed to an infinite variety of Tortilla Soup recipes...plus I will unveil MY favorite version after all this time. So, without further ado, I bring you the final installment of Tortilla Soups from my quest. First up is Carol from There's Always Thyme to Cook with a luscious, Creamy Chicken Tortilla Soup that was topped with lime, sour cream, fire-roasted salsa, and avocado. Faith from In the Kitchen with Butters made a tangy and tempting Tortilla Soup with Lime that puts a smile on my face just looking at it. This Chicken Tortilla Soup from Erin at Art+Food+Life found that when it comes to Tortilla Soup, she enjoys a simple soup best. Me too! 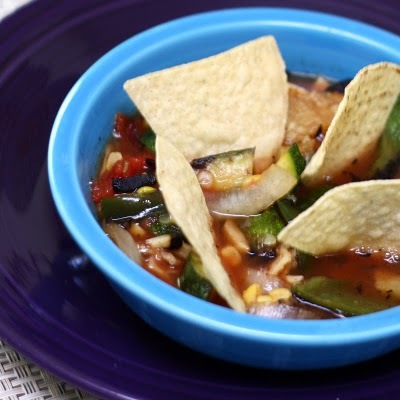 Claire from Chez Cayenne has a great suggestion...grill up some veggies for your meal one night, and then use the leftovers to make this fantastic version of Grilled Vegetable Tortilla Soup. On my summer to-do list, for sure. 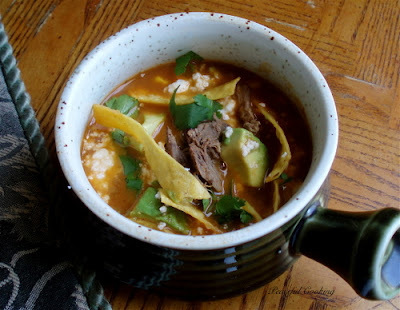 Another one I'll be sure to try is this mouth-watering Shredded Beef Tortilla Soup from Danielle at Cooking for my Peace of Mind. Combined with earthy poblanos, green oregano, and dried pasillas, it's a sure-fire hit for me. And to close the show on this final act of the year, I (Heather at girlichef) was inspired by that creamy version up top, but needed to add a little creeping heat to mine in my take on Creamy Chicken Tortilla Soup w/ Chicken & Corn. So tasty. Would love to dive into each bowl. Thanks for including me! I love the roundup, I have to start trying some, they all look fantastic! What a tasty post; looks fantastic; I have never made tortilla soup; very temepted to try. 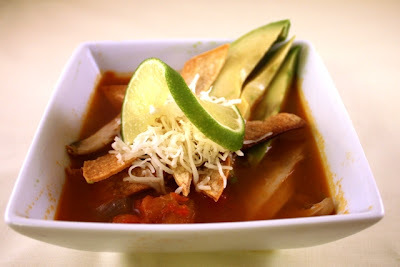 Being a Chicken Tortilla Soup fan, I'll be looking forward to your opinion on favorite. What a fabulous roundup! I have never made tortilla soup before, and now I have a bunch of recipes to try. Can't wait! sorry i was out of the blogworld for a month - would have loved to send an entry for this one - great collection of soups here! Can't wait to read your tips and see which is your fav. I'm still seriously in shock that it's been a whole year! 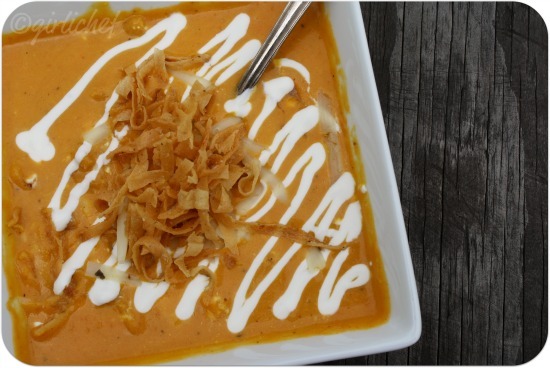 Time flies when you have good soup to eat! YUM! what a roundup. i'm battling laryngitis at the moment and can think of nothing better to wake up my tastebuds than a warm cup of tortilla soup. i couldn't seem to link mine up a few weeks ago, but honestly i'm fixing for a bowl of your really creamy version! They all look so good. I am bummed I didn't get one done for the final round up. ;-( Where does the time go?! ?